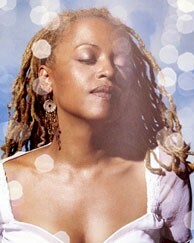 Cassandra Wilson continues to open up possibilities of what a jazz singer of her talent and vocal temperament can do. Her recently released CD, Glamoured,contains several tunes that you wouldn&#146;t think could be jazz tracks. On tour for Glamoured, Wilson sang to an adoring, almost capacity crowd in Philadelphia’s cello-shaped Verizon Hall. She took the audience by storm. Certainly, you understood her odd tracks so much better when performed live and in some instances, visa-versa.A completely reconstructed framework for Bob Dylan&#146;s "Lay, Lady Lay," (limply recorded on the CD) proved a startlingly dramatic reading onstage, showing Wilson&#146;s dimensional chromatic range playing against Dylan&#146;s plaintive melody.Her five-piece band&#146;s meaty Afro-Caribbean intro and Wilson&#146;s seductive wail together evoke an unexpected scenario.Later, she turns such dated material as the Monkey&#146;s 60’s bubble-gum pop hit "The Last Train to Clarkesville" into liberating manifestos. Wilson seems to rely on her musicians to tell her what kind of night it is going to be, jumping off on a musical journey on which the audience feels lucky to be invited. In Verizon Hall there were equalizing gaffes that had Gregoire Maret&#146;s otherwise ethereal harmonica making louder entrances than intended on several songs, crowding Wilson&#146;s phrasing at key points.And musical director Brandon Ross&#146; acoustic guitar was clearly intended to be more muscular.But, even with these problems, there were many moments where it all came together. Wilson and her band simmers Sting&#146;s "Fragile" into a gentle calypso. You almost see her standing on a tropical beach contemplating the sands of time or maybe it&#146;s the story of a break-up. "Nothing comes of violence/Nothing could." Wilson can be a pristine chanteuse or a growling blues belter, the latter shown gloriously on Muddy Waters&#146; "Honey Bees." an equally unexpected treat, displaying Wilson&#146;s undistilled approach as a blues practitioner. "I Want More," written by Wilson, is one of the CD&#146;s highlights and was joyously performed in concert.It is a taut percussive samba that showcases her driving, honey-husky vocal range from purr to growl.The groove settles into vocal sparring with a wayward harmonica and showcases brilliant phrasing from Wilson. Wilson&#146;s careful reading of the classic R & B standard "If Loving You Is Wrong," made famous by Luther Ingram in the 70s, broke out with soulful power. In contrast, on CD, the tune comes across as studied.She equally deflates Willie Nelson&#146;s classic "Crazy" in a bland vocal that offers little else but nostalgia. The concert seemed cut short, but Wilson returned to the stage to an insistent crowd and delivered a signature song, Antonio Carlos Jobim’s "Aguas De Marco/The Waters of March." Her voice seemed tired, but Wilson and Company&#146;s meandering improv essayed a magical ending. Opening the concert, an unexpected treat: Jason Moran and the Bandwagon flew in from their European tour, just for this date.Moran&#146;s jazz piano virtuosity was immediately apparent, if at times too insistent.Without doubt, his frantic set with Taurus Matten on bass and Nasheet Waits on drums produced diamond hard improvisational moments. But, their jam was too freewheeling for concert-hall jazz–the trio&#146;s fiery dialoguecareening and disintegrating into assaulting riffs– probably mind-blowing in smaller venues (with drinks) but somewhat lost in the cathedral expanse of Verizon Hall. Without doubt Moran&#146;s quicksilver, spidery handwork on the keyboard makes him one of the most distinctive pianists in the world today, particularly essaying solos like "Gentle Shifts South," playing over voiceovers of his family&#146;s history.In the quieter moments, he had the reserve and resonating power of Ellington. Moran graciously closed his set crediting Wilson with jump-starting his career.